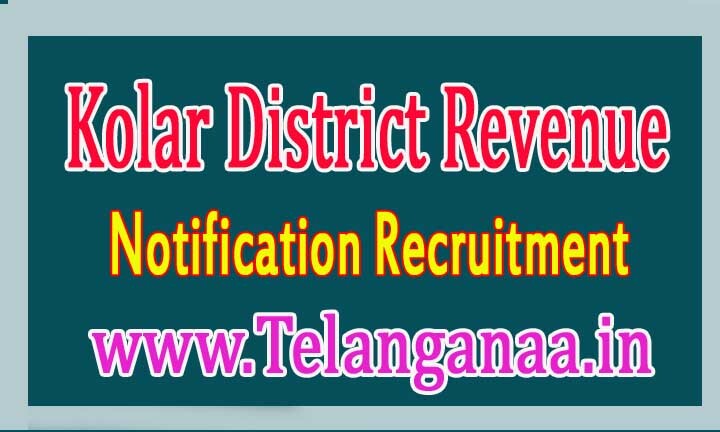 Kolar District Revenue Department has Recruitment Notification 56 Village Accountant Released officer posts. All incoming and interested potential candidates can book online on or before 21-10-2016 Apply. 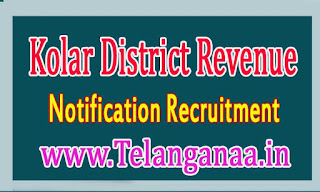 More detailed information on educational qualifications, age limit, selection, examination pattern, syllabus for Kolar District Revenue Department Recruitment 2016-56 Village Accountant officer post mentioned below. Age limit -- Candidates age should be like on 21-10-2016 between 18 to 35 years. Age relaxations will apply according to the rules. Pay Scale -- Rs 11600 -. 200 12000-250 - 13,000- 300-14200 - 350-15600 - 400-17200 - 450-1900 - 500-2100 / -. Beginning the online application form is: 22-09-2016. Online application is received until: 21-10-2016.